In bibliographic survey conducted in collaboration with Eliza Atsuko Tashiro Perez of Universidade de São Paulo on September 17th, 2018, the world's 4th "Japanese-Portuguese Dictionary" of the Jesuit mission press in Japan was discovered at Bibliotheca Nacional in Rio de Janeiro. "Jesuit mission press in Japan" is more than 40 documents published by the Jesuits who did missionary activity in Japan from the end of the 16th century to the beginning of the 17th century and they are religious books, language textbooks, and literary books for learning and teaching Japanese language necessary for missionary work. Due to Christianity banishment and oppression in Japan, they are very rare and known as valuable documents keeping a few books in each library over the world. "Japanese-Portuguese Dictionary" is the largest dictionary about Japanese of the time and contains 32,000 words annotated in Portuguese for romanized Japanese and it is an important document in the research field of Japanese linguistics, literature, and history. Only three books exist in the Bodleian Libraries at University of Oxford (UK), Bibliothèque nationale de France (Paris, France), and Biblioteca Pública de Évora (Portugal) as long as known so far. Besides, there is a record about a book called "Manila book", but currently missing. The importance of "Japanese-Portuguese Dictionary" found in Rio de Janeiro is not only one of the 4 rare documents, but also the fact that Japanese book of Christian version was discovered in South America. 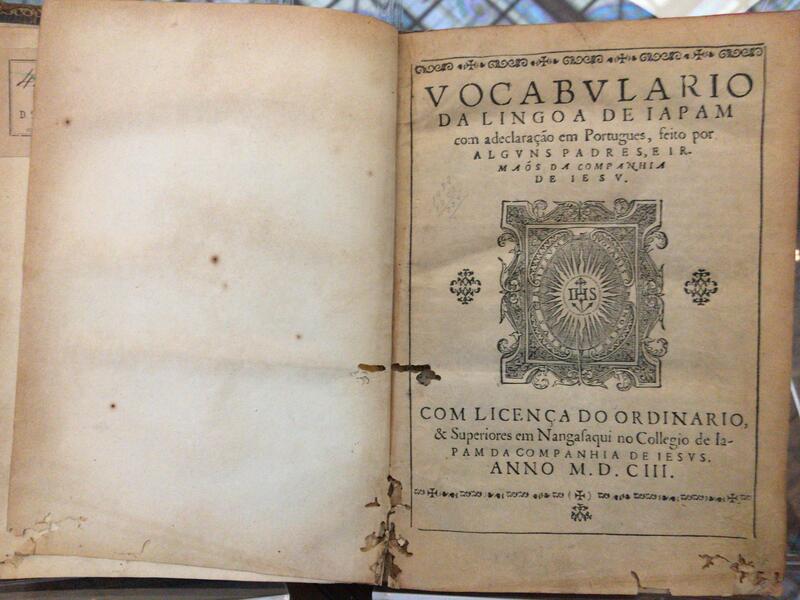 In order to elucidate the reason why the book of Christian version published in Japan was kept in the library in Brazil, we need to think from various points such as history of Portugal and Brazil in the world situation, the missionary activity of the Jesuits, the establishment of the National Library and the subsequent development.